The Yurt tent has a lightweight Aluminium 3m center pole and Aluminium frame with 35mm in diameter poles. 4 Large zipped windows for airflow, ventilation. With mesh cover and PVC glass to enjoy great views. Can sleep up to 6 adults on airbeds comfortably with space for luggage, furniture and amazing head room. 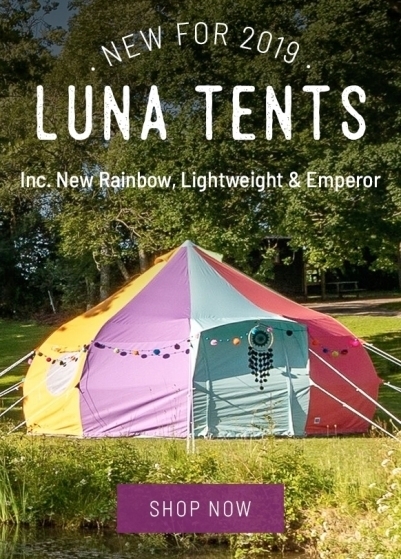 If you are looking for something slightly bigger, why not try our 6m Luna Emperor? The 5m Yurt tent is the brand new tent by Boutique Camping. The 5 Yurt tent is one of the most luxurious and magical bell tents we offer and it has a homely feel. The 5m Yurt tent comes in the classic sandstone colour that’s eye-catching, yet comforting. The yurt tent was designed to bring you the best the glamping word has to offer. 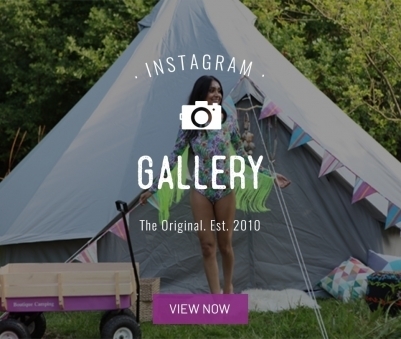 The Yurt bell tent is designed for glamping and short-term camping. 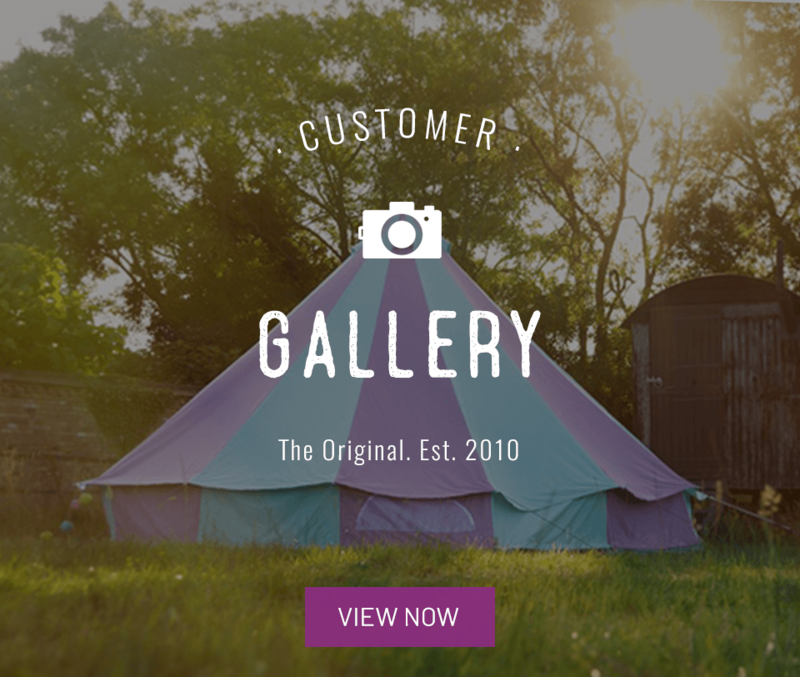 The great features the yurt tent has, completely improve the classic bell tents for those who are looking for a tent with the added benefit of being able to enjoy the extra headroom. Our Yurt tent is perfect because you are able to enjoy the full space in the tent. A family of 6 will be able to enjoy this spacious yurt. 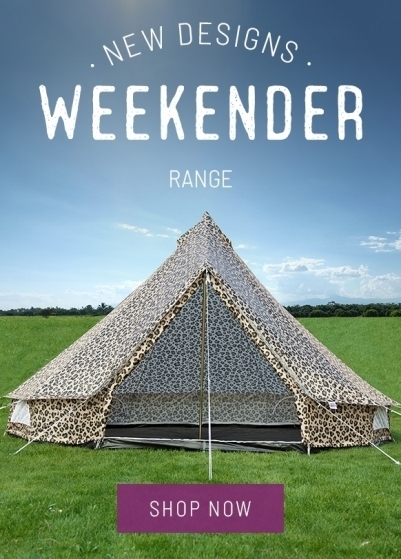 The 4 extra large windows have PVC and mozy netting to offer the perfect balance of being able to look outside, keep dry on wet summer days, and being able to create some extra ventilation when it gets a little warmer, without those creepy crawlies getting into your tent. The view of your location can really be appreciated with our extra large windows. The Yurt tent is supported by a circular aluminium structure, as well as a 35mm in diameter centre pole. The groundsheet is zipped together with the main canvas body. The canvas clips onto the Aluminium structure with small black plastic clips all around the tent. At the base, you’ll find a heavy-duty zipped in groundsheet that gives you the option to unzip and roll up the sides, letting the air flow in and around you. All of these tents are made from 100% canvas so you won’t be waking up in a sweat. It’s also mould, rot and water-repellent. In front, there’s a secondary mosquito net door behind the main door, and holding the whole structure together is a 35mm centre pole made with aluminium making it much lighter to carry, yet sturdy enough for strong winds. We’ve also included extra-strong pegs that won’t bend, making this tent sturdy in windy weather and bad conditions. The perfect tent for up to six adults who can sleep comfortably inside, giving this tent the feel of a luxurious open-plan bedroom. 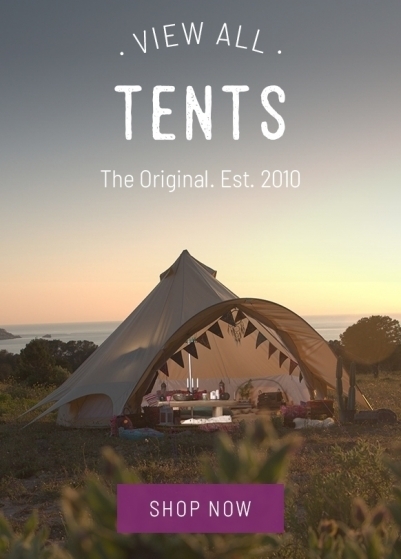 Each tent can be assembled by one person, with everything needed for assembly included in the pack. 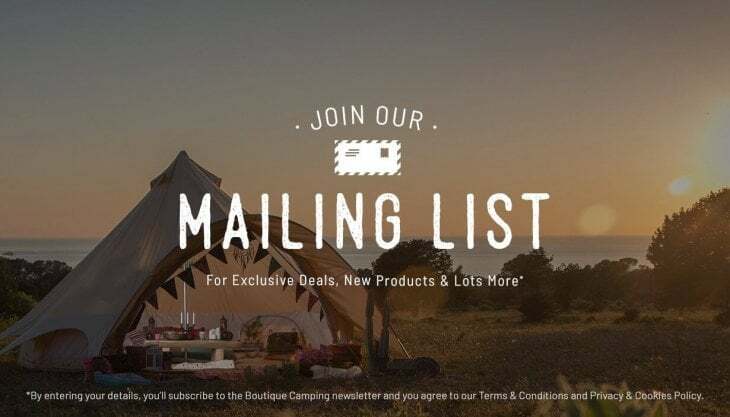 Why not accessorise your tent and complete the experience with our huge variety of camping furniture - from chandeliers to sound systems, tables to bedding, rugs and plenty more - perfect for taking your camping experience from ‘good’ to VIP!